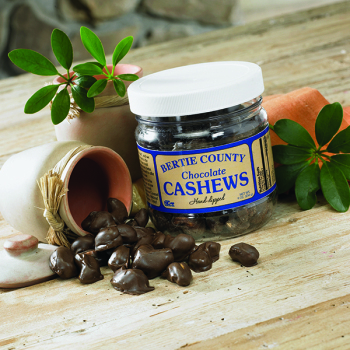 Cashews are the snack of choice when Southerners wish to "put on airs", and we think ours are the best in the South! 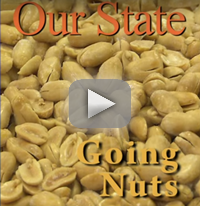 But, we felt we could make our Cashews even better. Hand-dipped in the same chocolate we use on our famous Chocolate Covered Peanuts, these Chocolate Covered Cashews are absolutely delicious! I loved this product, very delicious! Your product has been top notch ALWAYS! Customer for life. Haven't tasted the chocolate covered pecans, or the cashews, but the brittle and peanuts are decadent. You cannot each just one! 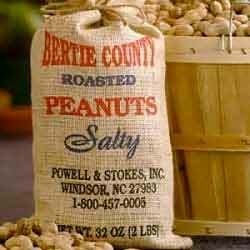 I anxiously await the fall so that I can order these delicious cashews from y'all. Never disappointed!with product or your service. If they serve snacks in heaven, this would be it!!! Outstanding product! When I ordered I thought this would be a novelty gift for clients but they were so good that we had to order more for ourselves and other clients. Best Choco;ate Covered Cashews Ever!! Best Ever!! Period!! End of Story!! Peanuts taste fresh and crunchy with right amount of chocolate ! Mid winter nut break ! Our first time for cashews.